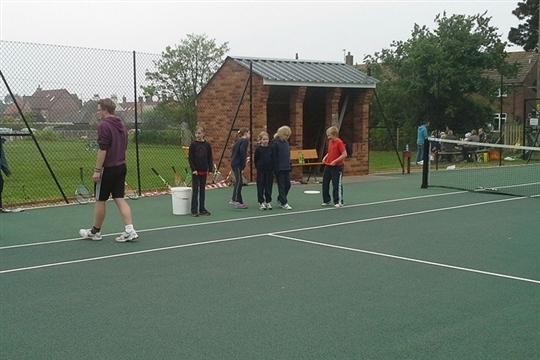 Deepdale and Brancaster Staithe Tennis Club has two hard courts and a small hut/clubhouse. You will find us at the far end of the playing field near the village hall in the heart of Brancaster Staithe. The courts were resurfaced in 2012 and are kept in top condition. They are open all year round. Members have access to toilet facilities. 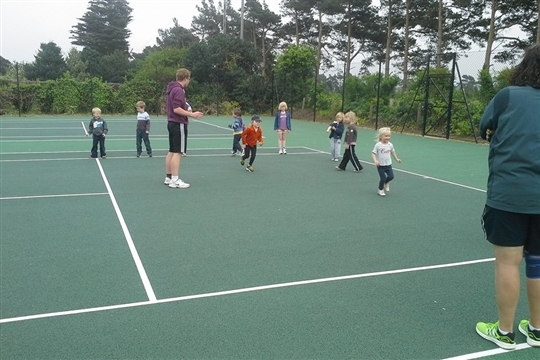 We have a core of enthusiastic members and we welcome the many visitors who also enjoy using the courts. 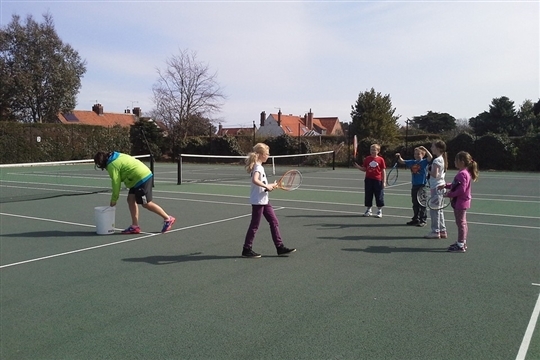 We actively promote and encourage junior tennis with coaching sessions from spring to autumn. 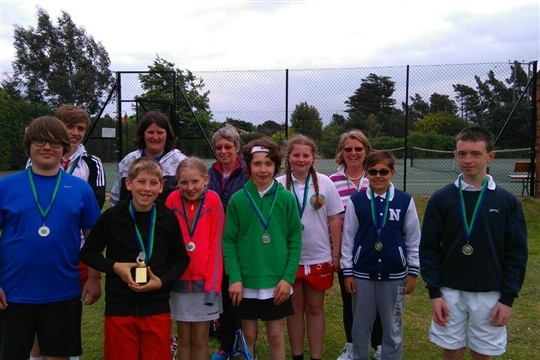 We hold a junior fun tournament to which children from other clubs are invited. The club has almost 100 members. Court booking is available for members only and is free. All court bookings are made online using ClubSpark, the LTA’s secure system. Visitors may also come to play and pay. The court fee is £10 per hour. There is an honesty box on the courts by the hut. The club welcomes new members and offers coaching for both adults and children at all levels. Tennis shoes or trainers must be worn. 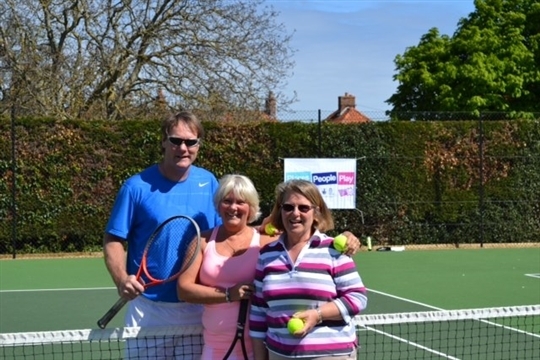 Members playing with non-members must ensure that the appropriate court fee is paid via the honesty box on the court-side ie £5 per person if playing singles, or £2.50 per person if playing doubles. There is NO ACCESS to either court when club coaching is taking place. Please slacken nets and tie them up at the end of play. No wheeled vehicles are allowed on the courts except wheelchairs designed to be used for tennis. No-one may enter surrounding property, except the playing field, to retrieve balls.